Every dog loves to wag his tail. But every dog breed does it in a different way due to their varying sizes, length and fur volume. So what are the different functions performed by a dog’s tail? A dog’s tail cannot grab stuff. So what is the reason for dogs to have a tail in the very first place? The other important question is what activities do pooches conduct with their tails? Fishes use their tails for propulsion and navigation while a group of snakes called pit vipers have keratin segments that rattle to ward off threats. In comparison to these living beings, the tail of the dog seems to have no purpose. At best the tail can smack you in the leg when you are seated next to the doggy. So what is the logic behind the dog’s tail? Let us try to explore the answer. Every dog has a different shape, length and orientation of the tail so it is logical to presume that the practical functions of the tail differ according to their breed. A dog’s tail can assist him to maintain balance while carrying out arduous physical activity like swimming and providing insulation during colder weather. Greyhounds have thin, lean tails for maintaining balance while running speedily while Dandie Dinmont Terriers have thicker, compacter tails. Labradors and Portuguese Water Dog have strong tails that assist them with navigation and propulsion on lake shores and marshes. While Akita and Alaskan Malamute have bushy tails that serve as living scarves, providing insulation for their faces to protect them from cold weather. Tails are even used by dogs for communication and self-expression by positioning the tails and wagging differently. The dog’s tail is a direct outgrowth of spine. The bones of the spine are known as vertebrae in the collection. The tail’s bones are known as caudal, coccygeal or simply tail vertebrae. The number of bones in the tail differs according to the dog breed. There are generally 5 to 23 coccygeal vertebrae in dog’s tail. 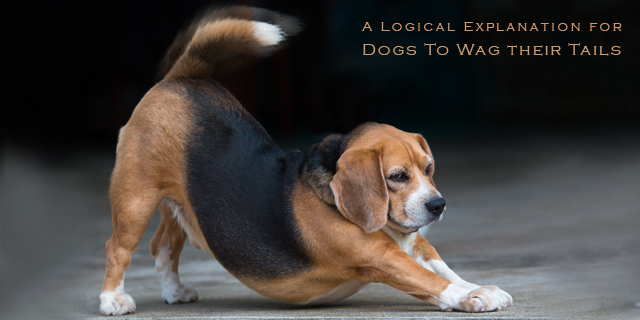 So, why do dogs wag their tails? Dogs utilize their tails as a medium to communicate both with fellow beings and their owners. Body language is of paramount importance to dogs just like humans. The tail is that part of the organ in the dog’s body that communicates most instead of bark, whines or howls. There are different signs of dog tail movements. Some may think that tail carriage and tail wagging are different, but both work as a unit to convey the mood and emotion of the doggy through a particular message. If the dog has his tail tucked behind his hind legs it means he is frightened, wary, or socially meek. If the tail is carried horizontally with a line on the back it means that the pooch is laid-back, good-tempered or indifferent. If the tail is held vertically or oriented towards the head, then he might be excited, watchful, or preparing for action. 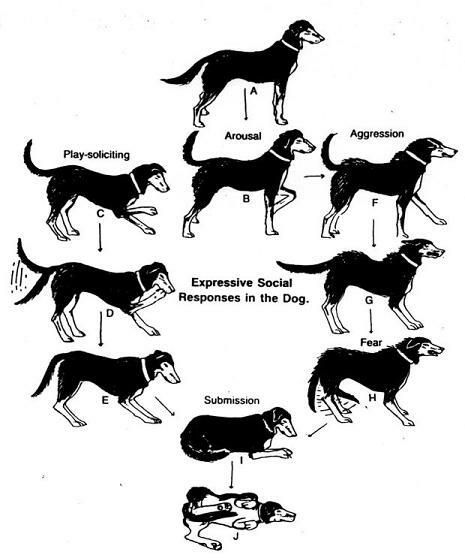 Dogs wag in each of these positions at varying degrees. Wagging in vertical position may serve the same purpose a rattle on a pit viper. It can even be used as a signal to warn someone or anything that he perceives to be a threat. The speed of the tail wagging, the scope of its arc, and even the side of the wag – left or right – all these things when combined together send out a deliberate message. So are you able to decode the secret message your doggy is trying to send by wagging his tail? If not, then start right now and make your camaraderie with your pooch stronger. Also, do post your comments below and let us know the secret message sent out by your furry companion. Till our next write-up, keep reading our blogs. Sayonara! !